​​The YAC Foundation is able to serve the community thanks to the generosity of our donors. As a 501(c)(3) non-profit organization, donations are tax deductible (Fed Tax ID: 71-0876819). Please consider donating to help the youth and families in our community. 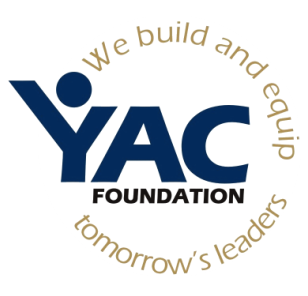 ​We invite you to partner with YAC Foundation as an Annual Community Partner Sponsor. The support of companies with a vested interest in the community is critical. Your sponsorship recognizes your company as an organization that believes in YAC's mission and the community. As a sponsor you will be recognized and acknowledged as having a special relationship with YAC at our events and in our advertising. We invite you to consider becoming an Annual Community Partner Sponsor. Your financial support plays a vital role in our ministry and our students' success. Together we can have a huge impact in our community and beyond. ﻿﻿​﻿​​﻿Each and every day YAC Foundation is making an impact in a young person’s life. Through your giving we are able to continue to provide more opportunities for these young people to succeed in life and become our next generation of leaders. Together we can impact our community and make a difference in the lives of our youth & their families. YAC works with different companies that give their employees opportunities to volunteer and assist non profit organizations in their missions. If you work for one of the following companies : Aetna, Amgen, Dell, Exxon Mobil, Microsoft, Proctor and Gamble, Southern California Edison, Time Warner, Verizon, Xerox or any other company that allows its employees to use their volunteer hours towards a donation for a charity then you too can provide support to YAC. Contact your employer and donate your volunteer hours to YAC. It's that simple! This fund provides the opportunity for at-risk or special needs youth to participate in our programs which allows them to be mentored, develop self confidence and interact with others in a positive and nurturing environment. The YAC Alumni Fund is the primary way for Alumni donations and for others to give and help provide scholarships, programs, supplies, equipment and maintain the facilities to help the youth in our program. Has YAC impacted you or your family's life? Help us to reach others in the same positive way.